In the mid-sixties, as a high school senior, Sam Cupp was sent to a local automobile dealership for a co-op employment opportunity by his business-marketing teacher. To many people, his path of accomplishments that followed would be like “Living A Dream.” Cupp, a graduate of Warren High School, cut his teeth in the business world through his high school marketing class at Gene Hamilton Chevrolet in Warren, Michigan. He turned out to be a somewhat unusual marketing student, in that several years later he became the owner of that dealership. But, Mr. Cupp had bigger ideas. His organization grew to more than 25 companies, over 2000 employees and over 300 million dollars in annual revenue. Although he retired from most of his business activities, his organization left a footprint of locations and businesses in 16 States, as well as Canada, Brazil, Australia, United Kingdom and Europe. Among Cupp’s honors, he was recognized by then Vice President George Bush for his business achievements. He twice received Governor Engler’s “Distinguished Community Service Awards” as well as National Mentor of the Year and Macomb County Citizen of the Year Awards. Mr. Cupp was selected as Michigan’s Retail “Entrepreneur of the Year” and was also the recipient of a “Distinguished Service Citation” from the National Automotive Hall of Fame. As impressive as these accomplishments are, he is a person who realizes how important motivation and education are to today’s young people. In keeping with that idea, in 1994, he created “Winning Futures”, a comprehensive strategic planning & mentoring program designed to assist students in goal setting, achievement, and five-year planning. In his spare time, Cupp had become an instrument rated, multi-engine pilot. He loved flying his airplane, playing ice hockey in the league he created (www.michigansting.net) and spending time with his grandchildren, daughters, and wife. 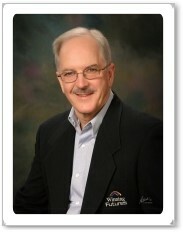 It is with great sadness that we share that Sam Cupp passed away on Thursday, June 21, 2012. He died doing something he loved – playing hockey. 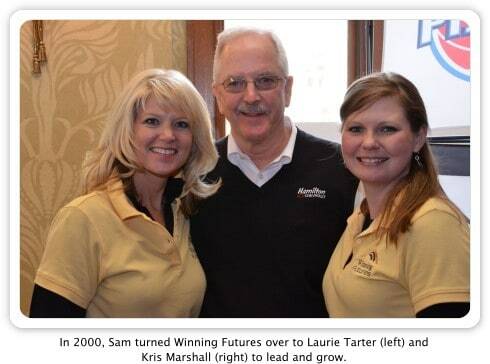 Sam was an amazing man whose character and inspiration will continue to leave a legacy for generations to come. For five years we awarded the Sam Cupp Impact Award. Click here to see the past winners.